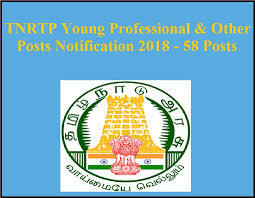 Candidates are requested to check their education qualification required for various Tamil Nadu Rural Transformation Project (TNRTP) job opportunities. · 12+ years’ experience. ii) Master in Business Management/ Agribusiness Management from a reputed institute. · 8+ years of experience; Master in any discipline. Implementation, Coordination and Monitoring Experience of a Project that has implementation scope beyond 3 districts. Experience in handling the skill development initiatives in organizations like NSDC ILFS, L&T, or CSR skilling initiative. Aware of various skill development programs of the Government and other stakeholders. 8+ years of experience; Master in any discipline. Implementation, Coordination and Monitoring Experience of a Project that has implementation scope beyond 3 districts. Experience in handling the skill development initiatives in organizations like NSDC ILFS, L&T, or CSR skilling initiative. Aware of various skill development programs of the Government and other stakeholders. 6+ years of experience; Masters in Business Management/ Agribusiness Management from a reputed institute (Tier ordination and Monitoring Experience of district-level. To apply Tamil Nadu Rural Transformation Project job, the candidates required to attain following age limit.